LiteBIRD small satellite. Credit: Canadian Space Agency. 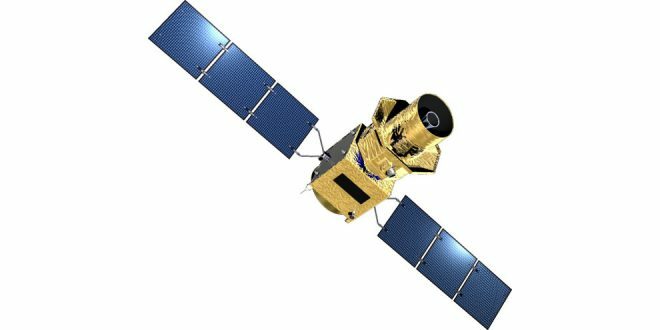 The Canadian Space Agency has issued a request for proposals (RFP) for a Mission Contribution Study for the Japanese led LiteBIRD satellite as part of its ongoing effort to support the space astronomy communities decadal plan of 2010, since revised in 2016. Cosmic microwave background (CMB) is electromagnetic radiation left over from an early stage of the universe. CMB is polarized at the level of a few microkelvin. There are two types of polarization, called E-modes and B-modes. This study and mission relate to the B-modes. This SOW is for one Mission Contribution Study in Space Astronomy targeting a Cosmic Microwave Background (CMB) Polarization Mission, namely the proposed Japan Aerospace Exploration Agency (JAXA) LiteBIRD (Lite ‘light’ satellite for the studies of B-mode polarization and Inflation from cosmic background Radiation Detection) mission (RD-05). Modern astronomy offers answers to fundamental questions about our universe and our place in it. Astronomy is the study of the physics of the universe and encompasses a wide range of subjects from the birth of the universe, its composition and evolution to the formation of planets, stars and galaxies. One of the fundamental questions is: Where did it all come from? The universe expanded rapidly from an extraordinarily hot and dense state 13.7 billion years ago. This fundamental model of cosmology is called the Big Bang. It predicts accurately many observed phenomena: the expansion of the universe, the abundance of light elements like hydrogen and helium and the CMB. The CMB has been precisely mapped by space missions like Cosmic Background Explorer (COBE), Wilkinson Microwave Anisotropy Probe (WMAP) and Planck. In essence cosmology seeks to understand the nature of space, time, and matter, and the origins of the fundamental forces. Yet many fundamental questions remain to be answered in cosmology. The Big Bang model predicts a super rapid expansion called inflation of the universe in its very early stage. It is predicted that evidence of the inflation could be observed from a weak polarization in the CMB signal. This polarization would have been imparted by primordial gravitational waves and their strength can confirm and exclude different models of inflation. Some early attempts have been made to measure the polarization with balloon-borne projects and radio telescope in Antarctica, but not convincingly. Several CMB polarization space missions are proposed by international groups, and the (JAXA) LiteBIRD is one such proposed mission, that could be the first to discover this signal. Canadians have played key roles in nearly every important CMB result to appear in the past 25 years. Clearly Canada’s biggest impact has been in terms of expertise and know-how that has contributed to advances in theory, data analysis, experiment design and technology. Essentially every CMB polarization experiment either on the ground or on stratospheric balloons is using Canadian-built technology – namely readout electronics for the hyper sensitive detectors. Significant expertise has come from participation in balloon-borne projects (Balloon-borne Large-Aperture Submillimeter Telescope (BLAST), E and B Experiment (EBEX) and SPIDER) designed to measure the polarization of the CMB. Such projects provide good science and tests of new technologies for space-based missions. Canadian expertise was demonstrated through the ESA Planck mission data reduction that generated the most accurate measurements of the CMB ever made. Precise measurements of the CMB polarization will allow cosmologists to address a number of fundamental questions by detecting and analyzing the signature of Inflationary Gravitational Waves which provide an image of the universe when it was a tiny fraction of a second old. LiteBIRD is a next-generation satellite mission proposed by JAXA aimed at investigations of the CMB polarization. Since on large angular scales the B-mode polarization of the CMB carries the imprint of primordial gravitational waves, its precise measurement would provide a powerful probe of the epoch of inflation. In order to achieve the mission goals and target sensitivity, the instrument will utilize a cryogenically cooled sub-Kelvin focal plane based on kilo-pixel-format superconducting detector array of Transition Edge Sensor (TES) bolometers with an optical system operating at a temperature of 4K. Superconducting TES bolometers have been demonstrated to achieve photon-noise-dominated performance and can be fabricated in large arrays. The Contractor will provide an assessment of this potential contribution to the LiteBIRD mission. This assessment is expected to provide information on contribution options by elaborating on architecture, design, and interfaces to the detector arrays with an analysis of the LiteBIRD payload requirements and flow down to electronics specification. Key performance requirements of the instrument may be demonstrated by laboratory testing, which may include demonstration of feasibility of achieving science objectives, for example by optimizing electronic readout configuration and signal processing.